KnewSkill designs content to develop learners into adaptable, creative, and critical thinkers who operate beyond linear paths towards personal and professional goals. We believe in creating engaging and relatable courses that help individuals confidently transition into high-demand, sustainable, and rewarding careers. Courses can be formatted instructor-led, online, or blended learning experiences. Learners explore their unique strengths and weaknesses by clarifying personal attributes through self-awareness. The learner creates a resume-ready personal positioning statement and other powerful tools tailored to each individual. Learners focus on clear thinking and effective communication as problem-solving tools to overcome challenges in their post-incarceration lives. 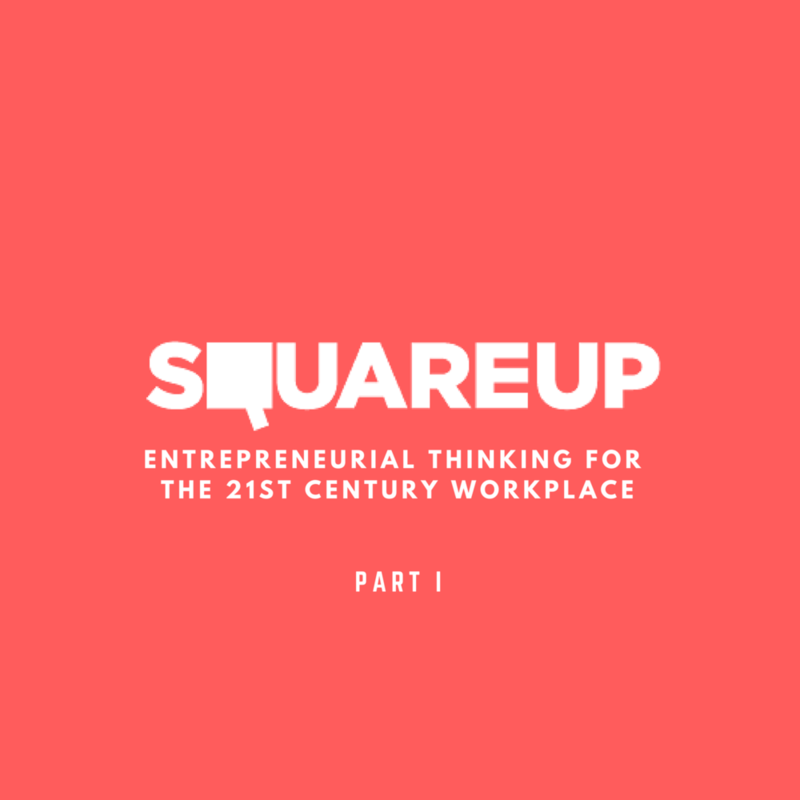 The backbone of SquareUp II is the introduction to the business model canvas framework. Different from a traditional business plan, this approach highlights the dynamic interplay of key factors and fosters a deep respect for interconnectivity and flexibility. By approaching business modeling through a novel and creative lens, learners are better able to understand, and take advantage of, the interdependency of many parts as they relate to a whole. The result is flexible, goal-driven business modeling learners can apply to multiple endeavors. The idea mapping module, a definitive turning point in the course, gives learners the freedom to create their own business model canvas synthesizing their learning with business fundamentals: defining value proposition, marketing a concept, receiving constructive feedback, and more. The learner works collaboratively with peer mentors to ensure their work and mindsets are ready for the marketplace. This module engages creativity and innovation as multiple forms of brainstorming and idea generation are essential to its learning. What do current employers need in their workforce? The 21st-century skills of critical thinking/problem solving, collaboration, creativity, and diversity top the list. CircleUp is designed to provide learners with a deeper understanding of the four C's: Creativity, Communication, Collaboration, and Critical Thinking. Students and employees engage in project-based exercises tailored to strengthen each of these competencies as they complete training programs.